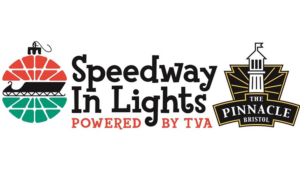 On behalf of the Bristol Chapter of Speedway Children's Charities and your Bristol family we welcome you to the 2018-19 Pinnacle Speedway in Lights season. Packed with activities and fun for all ages, you'll want to add a visit to Bristol Motor Speedway/Dragway to your list of "must-dos" during "the most wonderful time of the year!" Here are some insider tips/FAQs and info to assist you on your holiday visit to "Thunder Valley." *Click on the links for more detailed information. Speedway in Lights features a 4.5-mile drive throughout the Speedway and Dragway properties packed with hundreds of displays, millions of lights and more. And yes… You do get to drive on the track! Speedway in Lights is open nightly from 6 PM until 10 PM, November 16, 2018 through January 5, 2019. And yes, Speedway in Lights is even open on the actual holidays including Thanksgiving, Christmas and Christmas Eve, New Year's and New Year's Eve. 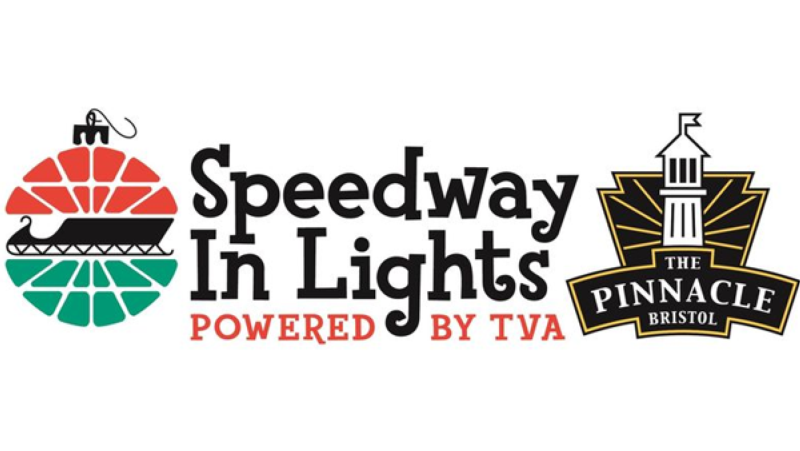 For Speedway in Lights, guests must enter at the Bristol Dragway entrance located on Highway 394. For GPS purposes, the Bristol Dragway entrance is located at 106 Thunder Valley Drive, Bristol, TN 37620 and its coordinates are 36.511728, -82.246676. Traveling from the north? Take Exit 3 off I-81 and follow Hwy 11E (Volunteer Parkway) to Hwy. 394 to event entrance. Traveling from the south? Take Exit 69 off I-81 onto Hwy 394 to event entrance. Traveling from NC, Johnson City, Elizabethon areas? Take Exit 19 off I-26 toward Bristol and follow Hwy. 11E to Hwy. 394 to event entrance. Well, that depends. Speedway in Lights is particularly busy on Fridays and Saturdays (especially weekends just prior to and on Thanksgiving and Christmas holidays). If time is important to you, plan your visit Sundays through Thursdays. You will experience less event congestion on these days. If Fridays and Saturdays are your only available time, check out our Jingle Bell Lane, which provides you express entry into Speedway in Lights on select nights. What else can we do at Speedway in Lights? You'll certainly be dazzled by all the lights and driving on the track! But there is much more to add to your experience. You'll definitely want to visit Appalachian Christmas Village presented by Eastman Credit Union located in the BMS infield and along your Speedway in Lights Route. Here you'll experience fun for everyone! Roast some marshmallows, visit and get your photo with Santa Claus, have a blast on the carnival rides, shop unique craft vendors and enjoy the food offerings. And don't miss your opportunity to lace up the skates and enjoy some skating time at The Ice Rink at Bristol presented by HVAC Inc. It's the only ice skating rink within a 90-minute drive of the Tri-Cities. What about weather and Speedway in Lights? Weather issues seldom impact Speedway in Lights. It's a rain, snow or shine event. On a few rare occasions a significant snowfall has altered our schedule. Actually, if you are really into the beauty of the lights and want to capture some great photographs or video, a visit in the rain or snow creates brilliant lighting reflections throughout the route. Are there opportunities to save on admission? Absolutely. Sundays through Thursdays offer savings thanks to our nightly sponsors. Sunday - Present any receipt from any business located at The Pinnacle and receive $2 off on admission. Monday - Visit WCYB.com and print off your $2 off coupon and present it at event entry. Tuesday - It's Beef 'O' Brady's night. Bring your Beef's receipt and get $2 off on admission. Wednesday - It's Military Appreciation Night and Hardee's Night. Present a Hardee's receipt or a valid Military ID and receive $2 off on admission. Thursday - Visit Tele-Optics.com to print off a coupon that will save you $2 on admission each Thursday. What are other fun ways to experience Speedway in Lights? If you want to take your visit to a new level, check out Santa's Speedway Sleigh or the BMS Express. Santa's Speedway Sleigh - Santa's Speedway Sleigh presented by Tri-Cities Airport is an open air tram ride decked out with cozy blankets and a BMS staff member to be your tram host and tour guide through the lights. Tram includes a 30 minute stop in Christmas Village and a bag of marshmallows to roast. BMS Express - Northeast State Community College partners with Speedway in Lights to transform a school bus into The BMS Express. Kids will delight in our version of the Polar Express. Enjoy hot chocolate and cookies as you experience the region's favorite holiday tradition. Can I take photographs or shoot video? You sure can. In fact we encourage it. And also feel free to share them with us/tag us on our Facebook, Twitter and Instagram channels.